Herbs have been prized for thousands of years for their culinary, cosmetic and curative uses, but many are equally valued for their ornamental beauty. While herbs are not showy plants, plenty have handsome foliage and most are worth growing for their scent (and for use in culinary masterpieces!) alone. Even a small garden will benefit from the addition of a few herbs or you can create a dedicated space for a larger herb garden. Designing An Herb Garden. Don’t be daunted by the prospect of designing an herb garden. The rules that apply to all garden design (sun plants need to be in sunny spots, taller plants to the back, shorter plants to the front) apply to herb garden design. One of the great joys of herbs, especially if you prefer a more relaxed approach to your garden, is that the vast majority of herbs are easy plants to cultivate. Herbs that are most commonly grown and enjoyed in gardens are generally low maintenance and reward you with delightful scents and attractive foliage. Growing Requirements. Herbs, like any other plants, have differing requirements, depending upon the specific plant. Some herbs require full sun and exceptionally good drainage while others require shade and lots of moisture. 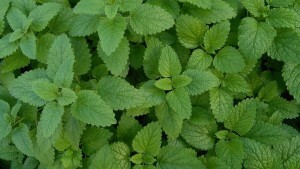 Many edible herbs originate from the Mediterranean where they can grow and thrive in very dry soil. 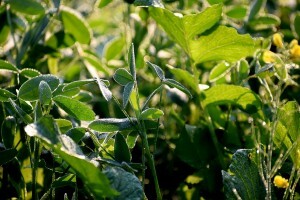 If you are planting an edible herb of that type, do not add extra fertilizer. Doing so will create overgrowth and the herbs (if you are using them for cooking) will have much less flavor. When buying herb plants, check the tag for the preferred growing condition, and, when in doubt, consult the specialist at your favorite garden center. In general, plants that have silvery, needle-like leaves like lavender or thyme need full sun and good drainage while plants that have soft green leaves (like all the mint varieties) do best in partial shade. Growing Herbs in Flower Beds & Borders. Lots of herbs are perfect for growing among other flowering plants. 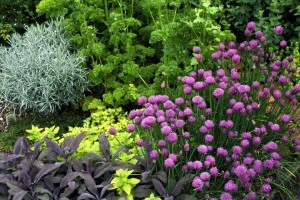 Herbs with colored leaves are particularly desirable in a flower garden. Purple sage is a much-used herb along with gold-variegated ginger mint. Tall herbs like angelica and evening primrose add vertical interest to a bed. Curly leaf parsley is easy to grow and quite attractive with its pretty green leaves but, be careful. It can take over your garden if not cut back regularly. Growing Herbs For Use in the Kitchen. Fresh herbs are used by top chefs all over the world to add flavor to many dishes. Using herbs, as opposed to salt, to “spice up” a dish is a great, healthy alternative. Specific herbs go wonderfully with certain foods: rosemary with lamb, basil with tomato dishes, dill with salmon (and dill makes a great addition to a home made vegetable dip!) and coriander for curries. If you are going to be using herbs in cooking, it makes a lot of sense to plant herbs near to the house so you can dash out in the middle of cooking, snip off a few fragrant herbs and return to the kitchen. 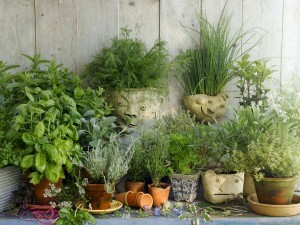 Think, too, before planting, what herbs you believe you will use most often and plant accordingly. If your recipes call for a lot of basil or parsley or chives, then give them the space they need in your garden. Herb gardening is becoming more popular every day. Herbs are easy to grow, add amazing fragrance to your garden and delicious flavor to your recipes. Start planning and planting today!